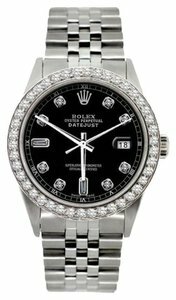 36MM ROLEX DATEJUST WATCH GLEAMING IN ABSOLUTE PERFECTION, THIS ONE OF A KIND DIAMOND ROLEX DATEJUST WATCH IS IN STAINLESS STEEL. THE BLACK DIAL WITH CUSTOM SET DIAMOND FEATURES HOUR MARKINGS AND KEEPS PERFECT TIME. 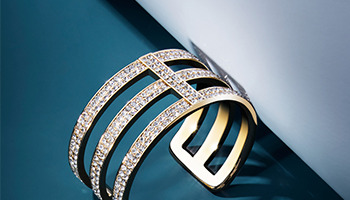 THE TOTAL DIAMOND IS 2.3 CT WITH VS1-2 & G-H COLOR. THE BEZEL IS ALSO CUSTOM SET DIAMOND. 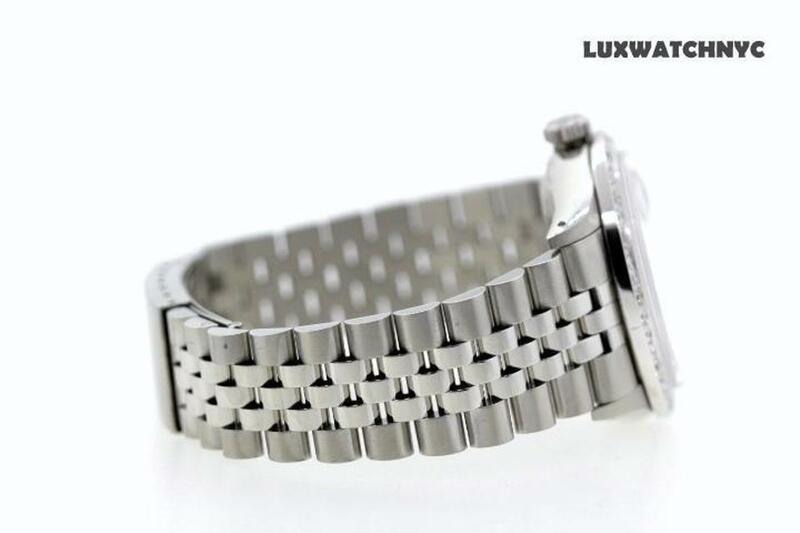 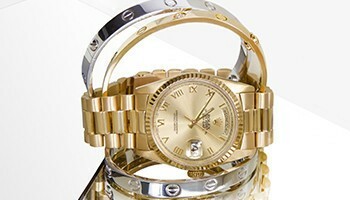 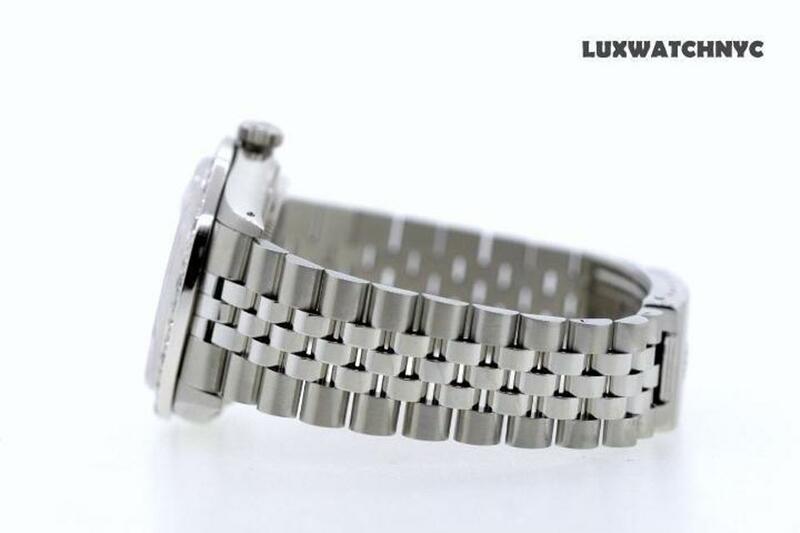 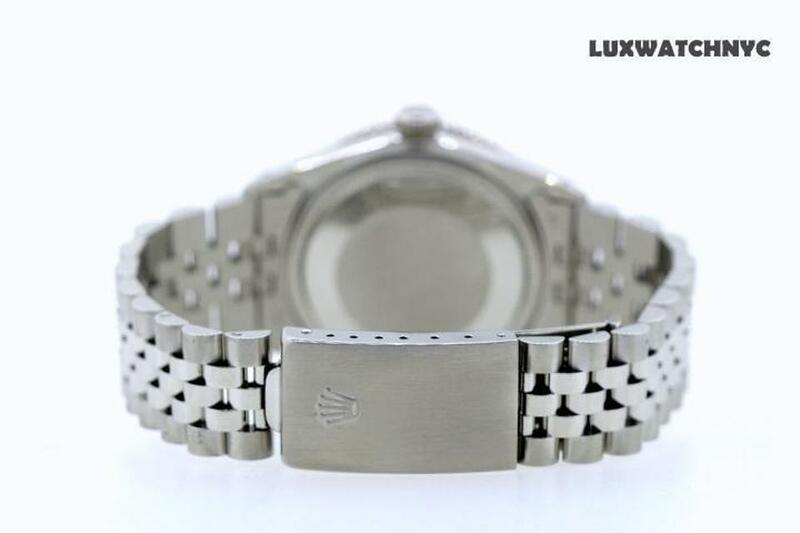 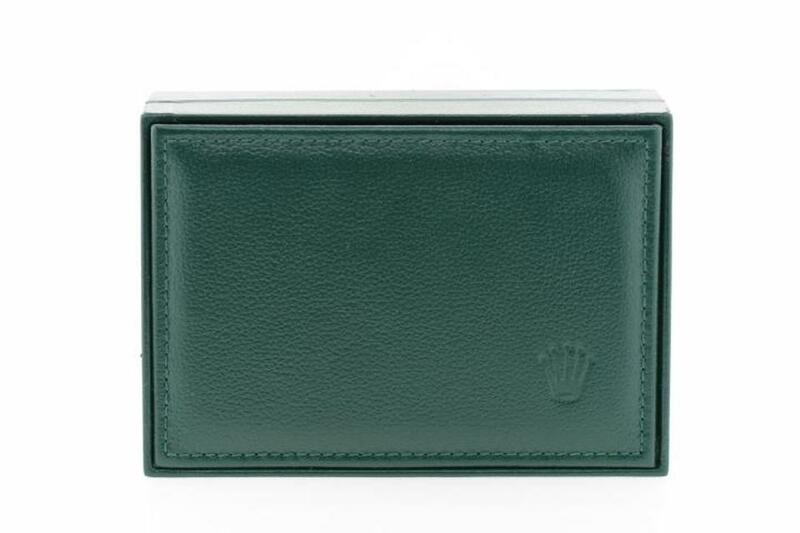 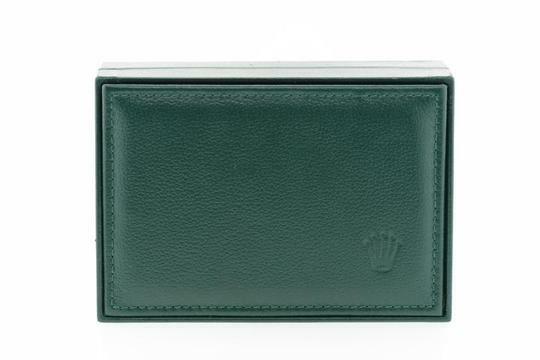 THE BRACELET IS CRAFTED IN SECURELY LOCKS WITH A HIDDEN DEPLOYMENT CLASP WHICH IS ENGRAVED WITH A ROLEX LOGO. 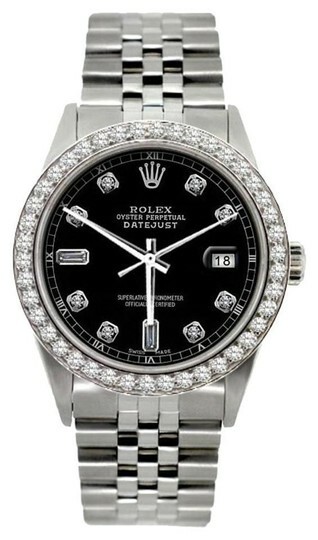 THIS IS BRAND NEW CONDITION, NO SCRATCHES, NO DENTS, AND CLEAN WITH NEW SAPPHIRE CRYSTAL.